Efforts to tackle rising levels of obesity in Europe remain very small in comparison to the “massive economic burden” it is placing on health services, with governments side-tracked by single interventions like sugar taxes. “There’s a real gap in political leadership … and I don’t think [politicians and policymakers] are as worried about [obesity] as they should be,” said Richard Dobbs, a senior partner at McKinsey, a global consultancy firm. Dobbs was the lead author of his firm’s seminal report in 2014, which listed obesity as one of the top three social burdens generated by human beings. He and his team calculated that the global economic impact of obesity is roughly $2 trillion (€1.8 trillion), equivalent to the GDP of Italy or Russia. “Obesity today has the same impact on the global economy as armed violence, war and terrorism, and only a shade less than smoking,” they wrote at the time. Almost three years on, and speaking to EUobserver in an interview to mark European Obesity Day this Saturday (20 May), Dobbs said very little has changed. “We’re still spending a disproportionate amount of effort across the European Union on something that is a massive economic problem,” he explained. Indeed, an investigation by EUobserver last December revealed member states' "haphazard approach" to tackling obesity, with countries spending nothing at all in Cyprus to more than €5 million in Germany, to fight the epidemic. And yet healthcare systems are straining under the weight of people’s expanding waistlines. Research by the United European Gastroenterology, an umbrella organisation for European societies concerned with digestive health, last year highlighted the cost of treating disorders related to obesity. They say that the sum now amounts to a tenth of total healthcare costs in Europe, and “threatens the sustainability of public healthcare systems across Europe”. The cost of obesity is five times that of air pollution, Dobbs explained, but “we just haven’t geared up”. Dobbs said a big part of the problem is that governments have been distracted by policies like taxes on sugar-sweetened drinks, which has meant that they’ve lost sight of the bigger picture. However, that piecemeal approach simply isn’t working. New figures published by the World Health Organisation (WHO) this week showed that the number of obese adolescents in Europe is continuing to rise. One in three is overweight or obese, the authors said, and a major concern is that rates are also increasing in regions where they have historically been low, like in eastern European countries. 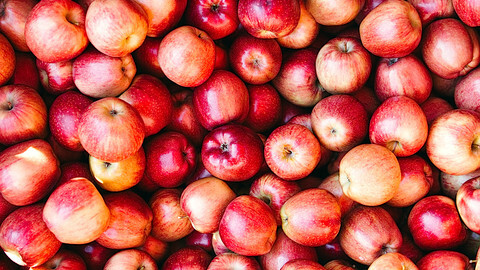 Dobbs’ report: Overcoming obesity: an initial economic analysis, assessed the impact and cost of 44 interventions, from product reformulation and portion control to media restrictions and reducing availability of high-calorie foods. They found that almost all of them were “highly cost-effective from the viewpoint of society”. What’s more, in an analysis conducted on the UK specifically, the analysts discovered that deploying all 44 interventions would not only reverse rising levels of obesity, but would also return one in five overweight or obese Brits (8.5 million people) to a ‘normal weight’. A new strategy to tackle childhood obesity was delayed for months whilst the former Conservative prime minister, David Cameron, grappled with a package of policies that included restrictions on advertising junk food and rules to force restaurants, cafes and takeaways to put calorie counts on menus. These were distinctly un-conservative approaches, but sources close to Cameron said he “got comfortable” with the idea that it was time to intervene with a progressive package of policies. But then the UK voted to leave the EU and Cameron resigned. Theresa May, his successor as prime minister, published the strategy, but it had been severely watered down and was roundly criticised as a result. Dobbs said other countries have got close to producing credible strategies to tackle obesity, but many back away when it comes to the crunch. The EU's health commissioner, Vytenis Andriukaitis, made similar remarks at a conference in Malta recently. “We need support at the highest level [in order to tackle childhood obesity],” said Andriukaitis, while he highlighted the “very positive” attitude the European Commission has had towards taxation in areas like sugar, alcohol and tobacco. But strong words and strict policies are more often than not replaced by vague goals and voluntary agreements led by industry. 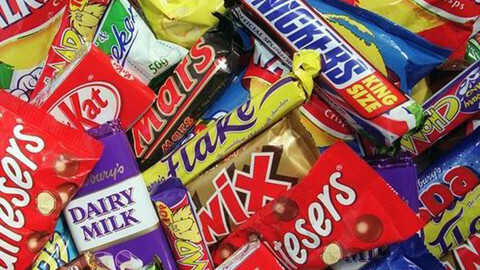 The recent proposals relating to junk food advertising targeted at children within the Audio Visual Media Services Directive are a case in point. Just last week, new research published by the European Policy Information Centre – a coalition of free-market think tanks – actually showed how little “nanny state” regulation there is on food, compared to tobacco and alcohol. But does Dobbs feel there’s a need for more regulation? Businesses want a level playing field and if there isn’t one they’re more reluctant to budge, he suggested. 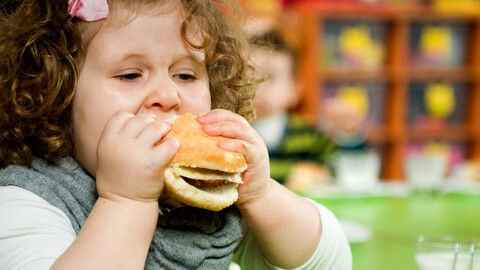 UK’s childhood obesity strategy - an EU blueprint? Health campaigners would encourage kids to drink water instead of fizzy drinks. But the watering down of an EU directive to protect children from sugary food and drink ads was not what they had in mind. 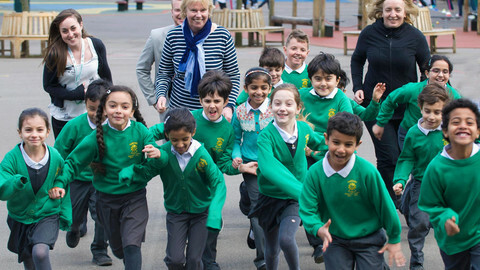 MEPs from all parties have repeatedly voiced their concerns about the rising levels of childhood overweight and obesity. Yet, when the opportunity arises to put declarations into action, the response falls short. 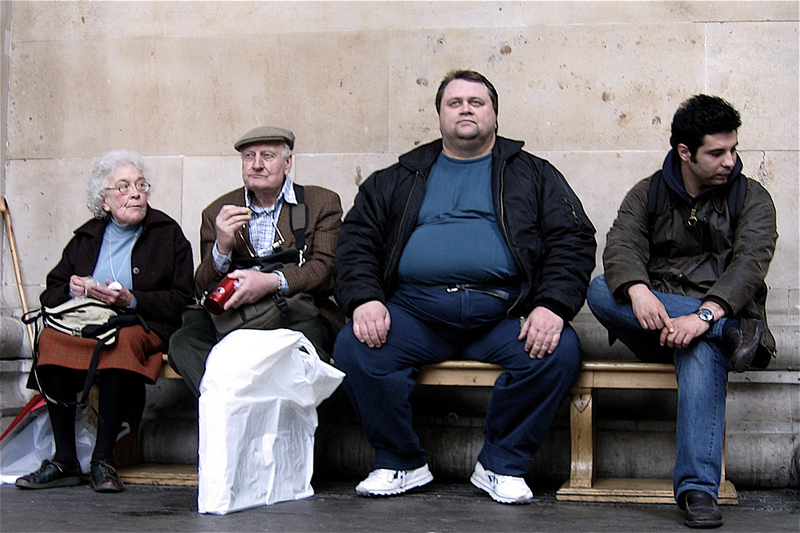 By 2030, it is estimated that more than 50 percent of Europeans will be obese. With a lack of public policies and coherent strategies, civil society is often the one trying to find a solution. Despite ambitious plans and a top political priority to fight childhood obesity, Malta has only managed to halt the rise of obese and overweight children. 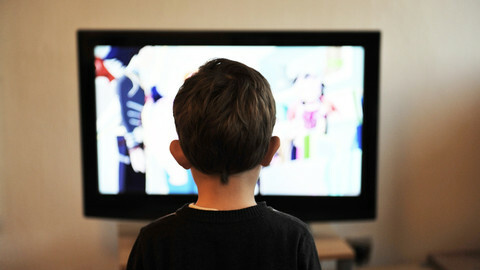 The ongoing revision of the Audiovisual Media Services Directive is a key opportunity to reduce exposure of Europe's children to advertisements of health-harmful products – an opportunity that should not be missed. One in three children aged between six and nine in Europe is either overweight or obese and the epidemic is threatening to bankrupt health services. 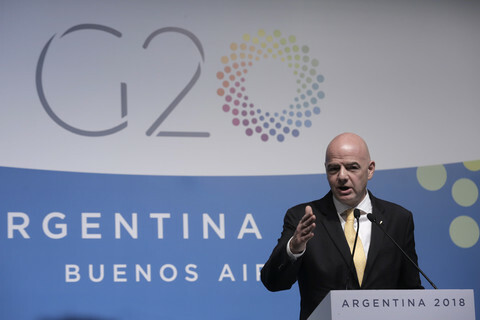 FIFA president Gianni Infantino addressed the G20 leaders and placed football at their disposal as a powerful tool to help them address the challenges facing the world today.